If the people who read this blog are the sort of people I think read this blog, few will have paused over the title of this post. For better or worse, people who read this are people who are comfortable in an online world. They will shop online, bank online, talk to their friends online, rant at their enemies online. So it is terribly easy to fall into the trap of thinking that what is obvious to us now has always been obvious to everyone, or even that it used to be obvious to our own former selves. But of course it wasn’t obvious before it became obvious, however obvious it now seems that it must always have been obvious. 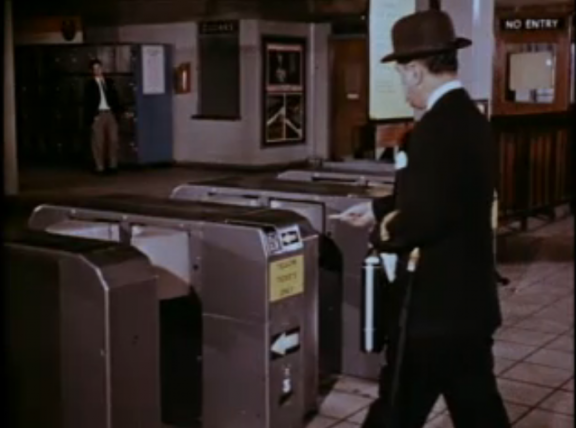 Looking at these two examples – the poster above from the 1950s and the still below from a film about how to use ticket barriers made in 1969 (which you can watch on the London Transport Museum site) – two points stand out. The first is that in both these examples, the people giving the instructions felt that painstaking detail was required (whether those on the receiving end found that useful is, of course, another matter). The second is how quickly in both cases the self-service model became first accepted, then obvious and finally invisible. The apparent moral of that is that once most people have been persuaded to change and the new way has become the default, the service provider’s problem is over. At one level that probably is right, but there is another factor which is also vitally important: the quality and clarity of the service design customers are being asked to follow. The post office round the corner from where I work has recently installed a new queuing system. A screen at the front door offers four service options; choosing one gets you a numbered ticket for the appropriate queue. The problem is that the options are so completely non-intuitive that somebody has to be employed to stand by the machine, ask customers what they actually want to do, translate that into one of the four options and then operate the ‘self-service’ machine for them. The lack of clarity of both purpose and implementation radically inhibits customers’ behavioural change. So, self-service done well can certainly become easy. But it won’t actually be easy until it becomes obvious, and that takes time and clarity. Getting that right requires the early adopters to see through the eyes of those who follow them into the change. Self-service is only easy if we make it so. 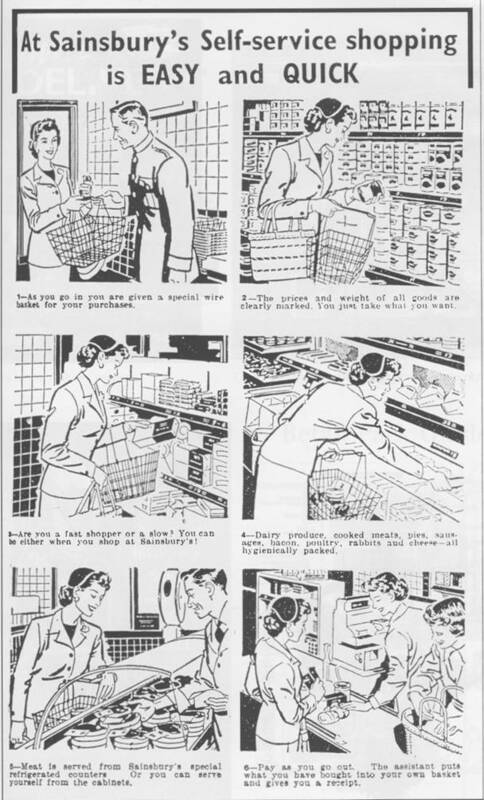 Love that – especially the “how to shop” picture. The Post Office experience reminds me of the last time I sat by the door of a govt office – DVLA. The exchanges between the greeter and the entrants were remarkably revealing, in terms of purpose of visit, redirection, reinterpretation and so on. My own sinking sense came from the thought that no matter how many times the greeter repeated certain patterns, it was unlikely to lead to any change. I put some thoughts down here based on the experience.